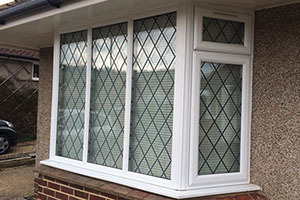 TL Windows is a family-run business based in Eastbourne, East Sussex. 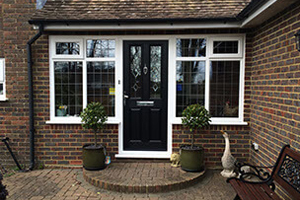 Having supplied homes throughout the area with double glazing replacement windows, doors and conservatories for the last 25 years, we are well-known locally for the high quality of our products and services. We also supply fascia’s, soffits and guttering. Every enquiry or order placed with TL Windows is personally carried out by Tony Lindley ensuring you receive the best attention at all times. With a commitment to value for money and a professional attitude, we also have a strong reputation for outstanding customer service. The fact that more than 85% of new orders come through customer recommendations illustrates the regard customers in East Sussex have for our company. We are also proud members of Checkatrade so visit their website to read reviews from our satisfied customers. TL Windows offer the highest quality in double and triple glazed windows and doors to ensure your home is efficiently insulated and secure. Replacing your windows and doors can give your entire property a fresh new look. Do you want to give your home an appealing new look and potentially reduce your energy bills at the same time? Brand new windows and doors are the fastest and easiest way to change the whole look and feel of your home’s exterior. The reasons to have new windows installed in your home are almost endless. New windows and doors will make your home more comfortable, secure, quiet and energy efficient. Why keep paying extra to heat your home and have the warmth seep out of your old windows? Instead you could have new windows fitted and immediately see and feel a change for the better! We now supply and install triple glazing for the best efficiency yet! Again the standard for this type of window is also of the highest quality and if you want to further insulate your home or reduce noise pollution, this is the deal for you. A conservatory is a fantastic way to create an extra room in your home. It will add space and value to your property, and bring the outdoors inside all year round. Once you’ve added a conservatory you’ll find endless things to do with it. In fact, you’ll wonder how you ever lived without it. If you enjoy entertaining then a conservatory will make a great dining room where you could throw an informal dinner party or a cost-effective second sitting room. 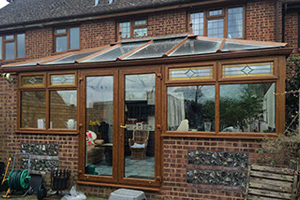 You could also use your new conservatory as a relaxing extension to your living room, it would make a great place to watch a favourite film or sports event, a light and airy study or office area, or a bright and sunny breakfast room. You could even turn your new conservatory into a snug place to cosy up on a winter’s day and watch the world go by. Give us a call today to arrange a FREE no-obligation quote. The fact that more than 85% of new orders come through customer recommendations illustrates the regard customers in East Sussex have for our company. • All our installations are covered by a 10-year guarantee? • We are proud members of Checkatrade so visit their website to read reviews from our satisfied customers. • You will always receive a personal service and a smile with TL Windows.